In Contact Dog Training in Springfield, IL; ClickerPets Mexico in Zapopan, Jalisco, Mexico; and Sit, Stay, ‘N Play in Stroudsburg, PA have all reported results for the first game of the winter 2015 series of the National Dog Agility League. 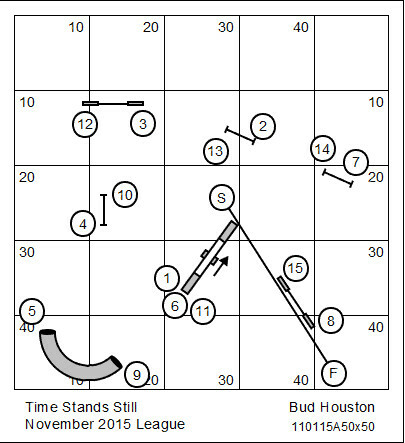 A very basic “eye test” shows Sit, Stay & Play to be clear leaders in this competition. And this time, we have pictures! 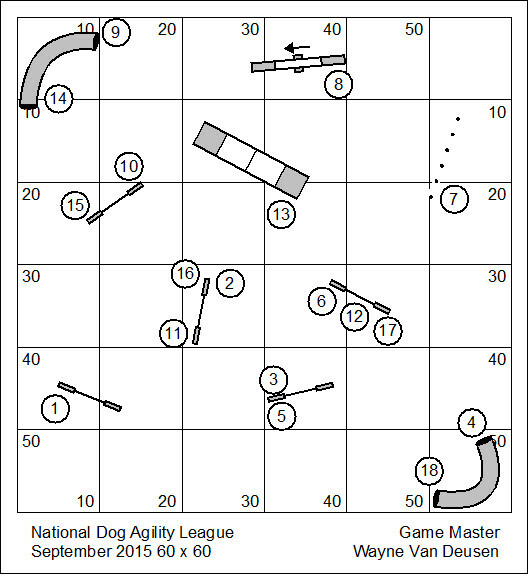 It appears that Australia will be coming online with the National Dog Agility League, perhaps this month, perhaps next. The NDAL will take its first steps outside of the continent of North America. Dachshund Hill Agility (DHA) of New Glarus, WI has reported results for the first game of the winter 2015 series of the National Dog Agility League. Clermont County All Breed All Stars Wins Fall 2015 League! First place team of the 2015 Fall Series was Clermont County All Breed All Stars (Milford, OH), scoring 1704 Lifetime Performance Points (LPP). The second place team was K9 Manners & More (Broken Arrow, OK) scoring 1558 LPP. The third place team was K9 Powersports (Grand Junction, CO), scoring 1528 LPP. The 2015 Winter Series shall be only two months, using a 50′ x 50′ working space. The League Rules and Stipulations for the Winter Series shall be published no later than tomorrow. 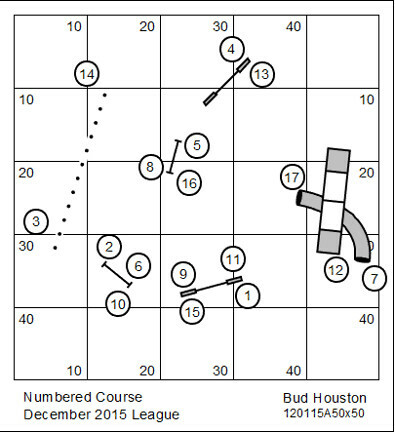 The first game course map, scoring worksheet and current rosters will be sent out to existing franchise clubs on October 2. Any new club interested in joining play should contact the: League Secretary. 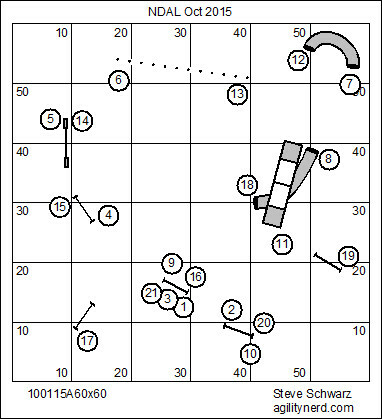 B&D Creekside of Latrobe, PA was the last franchise club reported results for the final game of the summer 2015 series of the National Dog Agility League. You can view the October results here: OCT RESULTS.